Taken from the blog Classical Christianity: Eastern Orthodoxy for Today. 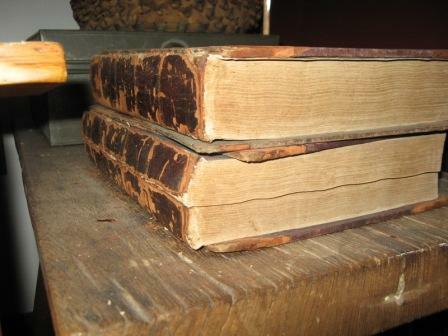 BLESSED Lord, who hast caused all holy Scriptures to be written for our learning; Grant that we may in such wise hear them, read, mark, learn, and inwardly digest them, that by patience and comfort of thy holy Word, we may embrace, and ever hold fast, the blessed hope of everlasting life, which thou hast given us in our Saviour Jesus Christ. Amen. I was just made aware by Keith in the comments of this blog that there is a Patristics site aptly named Patristics. It is very visually appealing and swanky. Given its swankiness and the fact all of the blog posts are from 2016, I imagine that it is new. This website wants to be for everyone, and in many ways it is, but its editorial choices betray the fact that its authors and editors are Orthodox. For example, on the Apostolic Succession page, only the successions of Alexandria, Antioch, Constantinople, and Jerusalem are listed; one would have thought that Rome, as one of the three ante-Nicene proto-patriarchates, would have made the cut. Thankfully, though, even if these guys are Orthodox, they aren’t the dytikophobic John Romanides kind, as seen in the well-balanced blog post about St Augustine of Hippo. You can’t criticise people for having their own bias. I’m Anglican, after all, and it would be disingenuous to write from any other perspective. 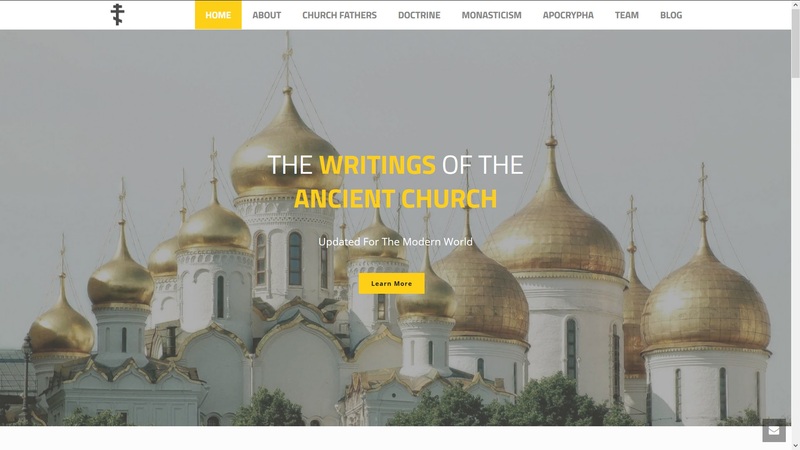 As a resource for the Church Fathers, the goal of this website is to gather together Patristics sources in readable English. Not everyone likes ANF and NPNF or other Victorian translations out there; I like them well enough, but find them to be among the more difficult texts to read from a screen instead of a book. As far as comprehensiveness is concerned, the site is clearly still under construction; not only are the proposed authors few, but many still lack texts. This is not a criticism; undoubtedly it will grow over time. Putting proofread texts on the Internet takes time, and I am glad to see a website that seems to be taking the time required. As you wait for Patristics to grow, don’t forget my page on where to find various Church Fathers online! That said, this website happily fills in some of the gaps in ANF and NPNF: The Didache, Patristic selections from The Philokalia (St Antony the Great, St Mark the Ascetic, St Isaiah the Solitary, ‘St'[?] Evagrius the Solitary, St John Cassian, St Nilus the Elder), Sayings of the Desert Fathers (the source of which is unattributed), St Maximus the Confessor, and St Isaac the Syrian. Other content I appreciate are links to applicable podcasts (chiefly Ancient Faith Radio); it would be cool to see these expanded to include Catholic and Protestant podcasts and even YouTube videos. But that may be too much to organise for the administrators and could overwhelm users. Besides the content of the texts, there is also a page listing different ancient heresies. One idea for expanding this is to link to both heretical texts and their ancient opponents. First, of course, the website should grow its database of Church Fathers. It is not immediately obvious how to reach your goal of reading the Fathers themselves while navigating the Church Fathers page, unfortunately. Nonetheless, some texts are there if you click on an author and then click once again in the left sidebar. The text of 1 Clement, the only one of his texts available, is written in Victorian English, surprisingly. It is attributed to Daniel Loych, whoever that is — presumably one of the intrepid volunteers engaged in the usually thankless task of uploading content. The translation is the Ante-Nicene Fathers one by John Keith. Translator credits are essential. Many people struggle with reading archaic sentence structure. Our English versions are carefully worded to provide the most relevant understanding of ancient texts. My other concern is the extent, but I hope that that will merely be fixed with time. The only Latin Fathers they provide are Tertullian, Hilary of Poiters, Ambrose, Augustine of Hippo, and John Cassian. Missing Jerome is a bit of a blow, but if one were to start with any group of Latin Fathers, this would be it. One proofreading concern is that hierarch is misspelled heirarch. Texts I’d like to see. I am most interested in seeing readable, online editions on here — besides the authors in ANF and NPNF — of these monastic texts: The Rule of St Benedict, the ascetic corpus of St Basil, the Rule of Pachomius, The Life of Simeon the Stylite, and the hagiographical texts of Three Byzantine Saints (The Life of Daniel the Stylite, The Life of Theodore of Sykeon, The Life of John the Almsgiver [but he’s not a monk]). Non-monastic texts: Salvian of Marseilles, Romanos the Melodist, ancient liturgies, Prudentius, Paulinus of Nola, Eusebius’ Praeparatio Evangelii and Gospel Problems. Apocryphal texts: I think it would be really helpful to make available apocryphal texts such as the Protoevangelion of James that are the sources for stories accepted by tradition. Canon law: It would also be helpful to see some western canon law texts appearing; these are, however, available in NPNF2, vol. 14. As I say, this is a swanky, visually appealing website. I look forward to watching its library of Patristic texts grow in time to come! Repost from elsewhere in 2008. I just read a good piece by Thomas C. Oden (The Rebirth of Orthodoxy) that tells a bit about his journey from modernist neo-orthodox liberalism to postmodern paleo-orthodoxy entitled “Then and Now: The Recovery of Patristic Wisdoms“. He brings up some of the issues he mentioned in his book, noting that we will be forever spiritual children in the shallow end (my words, not his) if we do not rediscover the ancient Christian masters of spirituality and biblical exegesis. No current moral issue is more deep-going than the acid destructiveness of modernity. No political project is more urgent for society than the recovery of classic Christian consciousness through the direct address of texts of Scripture and tradition. There is nothing better I can do for the moral dilemmas of our time than offer undiluted the ancient wisdom of the community of celebration. I recommend this article if you’re curious about paleo-orthodoxy and one man’s journey into it and the hope that it offers us in these postmodern days. Cassiodorus (c. 485-c. 585) spent the latter decades of his life, after a career in the civil service of Theoderic the Amal, Ostrogothic King of Italy and then an exile in Constantinople, running a monastery called Vivarium at his estate near Scolacium (Squillace; nice photos here). For the monks, he composed his Institutions of Divine and Secular Learning. The Institutions begin by setting out divine learning. Cassiodorus was grieved that the study of the Divine Scriptures lacked a suitable programme of learning akin to what existed for secular learning, so he put this together. I think it is not a bad approach to Christian learning, although it would need updates in the reading list today! A lot of Christian learning is simply Bible classes/study with no overarching connections, or a focus on ethics/morality with little emphasis on really learning, or (in some places) study of the great writers and thinkers without study of the Bible. Some people want to begin courses of Christian education with Plato, or with the Trinity. While I can get behind the second, the former is foolish. Cassiodorus begins with the Bible. First, the Bible. Cassiodorus sets out in the Institutes the various divisions of the books of the Bible and what the most important commentaries are, including where to find Latin translations of the Greek Fathers. His commentators are the usual suspects — Augustine, Jerome, Ambrose, Basil, John Chrysostom, Cyril of Alexandria, Clement of Alexandria, Athanasius, Didymus the Blind, and Origen, who is recommended with cautions* — plus a copy of Pelagius on Romans which he had expurgated of heretical bits. A benefit Cassiodorus’ monks would derive from these particular commentators is not just Bible knowledge — although certainly that — nor explications of difficult passages, but also Christian theology. The Divine Scriptures exist not for us to worship them but to show us the path to salvation laid out by One worthy of worship. Neither theology nor Bible study is an end in itself. If we were to adapt this program for life today, then modern commentators who seek such wisdom are the ones to choose, not simply those with brilliant academic insight and credentials. This recommendation is part of the ongoing programme of study. Always keep the words of the Holy Scriptures in mind, and seek wisdom on them in all places. One thing that I feel perhaps we lack in Christian education today is the contact with the living tradition of spiritual elders; instead, we spend our time with books (some, true, written by spiritual elders) or people with professional expertise — but something different is gained through conversation with wise elders. This, of course, can only be ‘built in’ to a program of Christian instruction by creating atmospheres where the elders are accessible to the disciples. But it’s probably (definitely?) of critical importance. Third, the Ecumenical Councils. Having learned one’s Scriptures, Cassiodorus recommends the four ecumenical councils (Nicaea [325, creed here], Constantinople [381, creed here], Ephesus , and Chalcedon [451, definition of the faith here]). I find it intriguing that Cassiodorus wrote this after 553 but does not mention Constantinople II as a fifth such council. Anyway, the number accepted by East and West at least until the Reformation is now 7 Ecumenical Councils. Cassiodorus recommends them both for theology and the canons. Given the ongoing shifting and changing of canon law, I would say that their theology is more foundational for Christian education today than the canons — coming to an understanding of their definitions of the faith and theological issues, as well as the other historic definitions, the Apostles’ Creed and the so-called Creed of St Athanasius. The canons and dogmatic decrees of the Seven Ecumenical councils are online here. For sola scriptura Christians who are possibly freaking out at this point, remember that the creeds are succinct summaries of Christian faith. As well, in the early Fathers such as Irenaeus (2nd c) and Tertullian (2nd-3rd c), there is a coinherence between the rule of faith, an oral tradition that evolved into the abovementioned creeds, and the Divine Scriptures. By studying the Creeds and the Councils in close succession to, or alongside of, the Scriptures, we are guiding both the students’ understanding of the Divine Scriptures and of the Creeds. The next few chapters of the Institutions are about different divisions of the Holy Scriptures and then about how to correct one’s text. Perhaps a modern version would include courses on textual criticism and the history of transmission here? We no longer use manuscripts that we correct ourselves (which Cassiodorus says to do very carefully! ), so his precise instructions here are not very useful. After an encomium on the Sacred Scriptures, Cassiodorus then recommends study of theology. 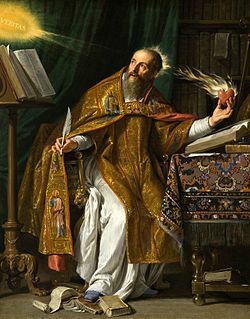 Here, he recommends some of the introductory texts on the faith by St Ambrose, as well as the more complex works on the Holy Trinity by St Hilary of Poitiers and St Augustine, then works on ethics and Augustine’s City of God. What would we add today? I would say some later Fathers, such as Maximus and John of Damascus. Aquinas? Palamas? Calvin? Luther? After theology and ethics, Cassiodorus recommends Christian history. He lists the major writers of ecclesiastical history and their Latin translations. The study of Christian history is a good idea. I always highly recommend it. The difficulty for us is that we have about four times as much Christian history as Cassiodorus did. Thus, the study of it cannot necessarily be as imbued with the Fathers as the earlier sections. Perhaps, then, some of the best modern scholarship? Cassiodorus also recommends reading Josephus. Great men Cassiodorus recommends. Next, the monk is to become acquainted with: St Hilary of Poitiers, St Cyprian of Carthage, St Ambroe of Milan, St Jerome, and St Augustine — but not to neglect living greats, such as Eugippius and Dionysius Exiguus. I’ve a feeling that most of these would have been covered by a careful following of the rest of the course. Secular learning that is useful along the way. [This section edited.] Cassiodorus goes into secular learning most fully in Bk 2; in Bk 1, he recommends (biblical) geography and rhetorical studies. To these I would add a grasp of certain philosophical fundamentals. Of the disciplines Cassiodorus discusses, I would argue that these are the ones most likely to be missing from a standard education today. Now, this is just Cassiodorus’ recommendations for sacred learning, for the training of the Christian intellect to understand the Bible and theology. What he leaves out in any detail is spiritual discipline. I imagine that someone following Cassiodorus’ program in conjunction with the disciplines of his contemporary Benedict or of Cassian a century and a half earlier would gain great knowledge both in head and heart. Because one can know all about the Bible and theology, but not know God. Update: Cassiodorus recommends Cassian to his readers. I wonder if we could somehow help implement well-rounded Christian education like this not only for monks and theology students but for congregations as well? I know of some initiatives in some congregations; one of the theology PhD students who attends my church is organising quarterly sessions to teach biblical theology to the 20s-30s crowd, for example. It would also be great to see youth being taught more than a. apologetics, b. don’thavesexbeforemarriage. Hunting for the Church Fathers online? I have just launched a new page for this blog, ‘Church Fathers Online.’ Here I have listed online English translations of the Church Fathers of which I am aware. This page is the result of contemplating how to make the Fathers more accessible — and certainly making them available is part of that! Therefore, I decided to celebrate the growing availability of patristic texts to English writers by making a little page full of links to their writings. Enjoy! (1) Hear, O sons of light, who have been received by adoption into the kingdom of God; hear, my very dear brethren; hear and be glad in the Lord, ye just ones, so that praise may become the upright. Hear what you already know; reflect upon what you have heard; love what you believe; proclaim what you love. Since we are celebrating a great anniversary on this day, you may expect a sermon in keeping with the feast. Christ as God was born of His Father, as Man of His Mother; of the immortality of His Father, of the virginity of His Mother; of His Father without a mother, of His Mother without a father; of His Father without limits of time, of His Mother without seed; of His Father as the source of life, of His Mother as the end of death; of His Father ordering all days, of His Mother consecrating this particular day. All His angels worthily praise Him, for He is their everlasting food, nourishing them with an incorruptible feast. He is the Word of God, by whose life they live, by whose eternity they live forever, by whose goodness they live happily forever. They praise Him worthily, as God with God, and they render glory to God on high. May we, ‘his people and the sheep of his hand,' reconciled to Him by our good will, merit peace in consideration of the limited measure of our weakness. For these words to which the angels themselves gave utterance in jubilation at the birth of our Saviour are their daily tribute: ‘Glory to God in the highest, and on earth peace among men of good will.' Therefore, they praise Him duly: let us praise Him in obedience. They are His messengers; we, His sheep. He filled their table in heaven; He filled our manger on earth. He is the fullness of their table because ‘in the beginning was the Word, and the Word was with God; and the Word was God.’ He is the fullness of our manger because ‘the Word was made flesh, and dwelt among us.' so that man might eat the Bread of angels the Creator of the angels became man. The angels praise Him by living; we, by believing; they by enjoying, we by seeking; they by obtaining, we by striving to obtain; they by entering, we by knocking. (3) What human being could know all the treasures of wisdom and knowledge hidden in Christ and concealed under the poverty of His humanity? For, ‘being rich, he became poor for our sake that by his poverty we might become rich.' When He assumed our mortality and overcame death, He manifested Himself in poverty, but He promised riches though they might be deferred; He did not lose them as if they were taken from Him. How great is the multitude of His sweetness which He hides from those who fear Him but which He reveals to those that hope in Him! For we understand only in part until that which is perfect comes to us. To make us worthy of this perfect gift, He, equal to the Father in the form of God, became like to us in the form of a servant, and refashions us into the likeness of God. The only Son of God, having become the Son of Man, makes many sons of men the sons of God; and on these men, reared as servants, with the visible form of servants, He bestows the freedom of beholding the form of God. For ‘we are the children of God, and it has not yet appeared what we shall be. We know that, when he appears, we shall be like to him, for we shall see him just as he is. '[l0] What, then, are those treasures of wisdom and knowledge? What are those divine riches unless they be that which satisfies our longing? And what is that multitude of sweetness unless it be what fills us? ‘Show us the Father and it is enough for us.' Furthermore, in one of the psalms, one of our race, either in our name or for our sake, said to Him: ‘I shall be satisfied when thy glory shall appear. '[l2] But He and the Father are one, and the person who sees Him sees the Father also;[l3] therefore, ‘the Lord of hosts, he is the King of Glory. '[l4] Turning to us, He will show us His face and ‘we shall be saved’; we shall be satisfied, and He will be sufficient for us. (4) Therefore, let our heart speak thus to Him; ‘I have sought thy countenance; thy face, O Lord, will I still seek. Turn not away thy face from me. '[l6] And let Him reply to the plea of our hearts: ‘He who loves me keeps my commandments; and he who loves me will be loved by my Father, and I will love him and manifest myself to him.' Indeed, those to whom He addressed these words did see Him with their eyes; they heard the sound of His voice with their ears; they regarded Him as a man in their human heart. But, what eye has not seen, what ear has not heard, and what has not entered into the heart of man He promised to show to those who love Him. [l8] Until this favor is granted to us, until He shows us what will completely satisfy us, until we drink to satiety of that fountain of life, while we wander about, apart from Him but strong in faith, while we hunger and thirst for justice, longing with an unspeakable desire for the beautiful vision of God, let us celebrate with fervent devotion His birthday in the form of a servant. Since we cannot, as yet, understand that He was begotten by the Father before the day- star, let us celebrate His birth of the Virgin in the nocturnal hours. Since we do not comprehend how His name existed before the light of the sun, let us recognize His tabernacle placed in the sun. Since we do not, as yet, gaze upon the Son inseparably united with His Father, let us remember Him as the ‘bridegroom coming out of his bride-chamber.’ Since we are not yet ready for the banquet of our Father, let us grow familiar with the manger of our Lord Jesus Christ. The Louvain manuscript adds a lengthy passage here which, though pertinent in content, is Augustinian neither in vocabulary nor in style. Cassian, in De Incarnatione 7, assigns the passage, with apparent justification, to St. Ambrose or to one of the Ambrosian School. However, the unusual brevity of this first section and the abruptness of the transition to the second seem to indicate some sort of lacuna. Cf. 2 Cor. 5.15; Gal. 2.20. If you like things I have to say, I thought I’d let you know that I’ve written a post at Read the Fathers called, ‘Genres of the Fathers: Epistolography.’ I discuss what letters are, why Christians write so many letters, and what this shows us about early Christianity. Because I want to promote Read the Fathers, I’m not reposting it at the pocket scroll. Go there to read it — I hope you like it!